Simply Testing’s test automation framework, Test Liberation, is available for testing of Oracle E-Business Suite. It provides a truly scriptless path to test automation for EBS. Ease the task of Oracle E-Business Suite Maintenance and EBS Regression testing by automating your tests. The Test Liberation scriptless approach means that your testers can build tests without needing to program your test tool. 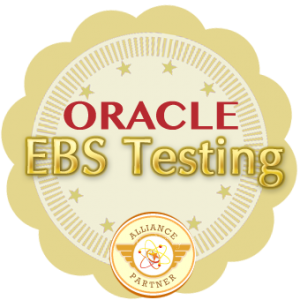 Oracle EBS is a vast system and programming (or scripting) the test tools to automate testing is too large a task for any organisation. Test Liberation, however, makes Oracle EBS automated testing possible because of it’s unique architecture. Virtually all of the programming is done for you. You made need some custom functions built for you but the actual automation code is already there out of the box. Regression testing of Oracle E-Business Suite maintenance releases becomes so much easier when you can run tests over-night, unattended. As all of the user interface objects in Oracle Forms are automated, Test Liberation can also be used for Oracle Applications automated testing.